Question: You talked about how you got a word from the Lord that the tribulation started in 1970. Has anyone ever run across biblical evidence of that? Brother Cecil: Well, there is no evidence in the Bible about 1970, but there is evidence that the tribulation is forty years. Brother Bill Mercer: I listened very carefully to what you were saying last night and I would like to spend some time with you sometime when you come to Scotland, because the Lord has taken us and shown us more or less the same time structure, almost to the same year. We have preached it and we have spoken it out in Scotland and yet it has come from a different angle. It has come from a revelation through God’s own people, through the Jewish perception. Brother Cecil: Excuse me, brother. Is it possible that you could share a little bit of it here with us? You see, what the people need is confirmation. Brother Bill: Last night I listened very, very intently to what was being said. We have preached almost the identical word in time values to what I heard last night. We have seen it from a Jewish perception. God gave me the privilege about three years ago of going to Israel. I was in Israel and I went to a lecture by one of the chief rabbis in Israel. His name was Chaim Richman. In the middle of his lecture, he shot off and went off at a tangent and he said that the people of God neglect the word of the “remnant” that is within the Word of God. They neglect it and they neglect it to their own death. Brother Cecil: Could you tell me what month in 1967 that this happened? Can anybody remember? Brother Bill: It was the Six-Day War. It was the Yom Kippur War, so it had to be October. It was the Feast of Tabernacles. Brother Cecil: So, actually it was 1968 because the Jewish year started in April. So it was two years! Brother Bill: I got very excited when I heard you speaking last night, because I know in my spirit that people have not accepted what we have been saying. But we are the only ones who are saying it in Scotland as far as I understand. And the word is being rejected, as it always is. On the last night, he did something that no orthodox rabbi does. He invited us to his home. We had fellowship together and he shared food with us. This is a Jewish rabbi. “I want to be holy before God” was the cry of his heart. The Jewish people who are seeking God with all their hearts are people who have been blinded by the elective purposes of God, but the Word of God in Romans says that they are only part blinded. It does not say that they have been blinded completely. They have been blinded to one thing only: Messiah. The day is coming when that blinder is going to be taken away and therefore we can learn a lot from our Jewish brethren. They have an understanding of the Torah that we miss so much and to me it was a pleasure and a great privilege to sit and discuss with this man for five days. In fact, when we were walking down the stairs, he called a taxi for me. This man does not even own a car! And he grabbed me around the neck and gave me a kiss on this cheek and a kiss on that cheek. There was absolute silence and he said something that I have never heard a Gentile brother say. You know, that night God showed me a mountain and on that mountain there were people climbing up one side of it and as I watched them climbing this mountain I saw the sun on the back of them and the sun gradually moving over the top of the mountain. As the sun moved over the top of the mountain, I saw darkness starting to envelop the people who were attempting to climb that mountain and then I heard a voice telling me from Isaiah 60, “The darkness covers the land and gross darkness the people,” and I saw the gross darkness starting to take over. Then the sun went over the top of the hill and I had a change of vision. I saw the other side of the hill and there I saw the Jewish nation, some of the Jewish nation, a remnant, trying to climb the same hill. The beautiful thing I saw was that on this other side of the hill the sun was starting to shine. The sun was starting to shine on the people on the other side of the hill and the beautiful thing that finished the vision was there on top of the hill was Messiah. There on the top of the hill was our Messiah. The next day, before we went to catch the plane, we went there and we had fellowship with an English lady who works out in one of the schools. She is one of the leaders in one of the messianic congregations. We had a meal with her in a Jewish restaurant. Then we went back to her flat and we spoke until the early hours of the morning. She started sharing of what she was seeing and the perception she was getting of what God is doing in these days. THE LIGHT IS GOING OVER THE OTHER SIDE OF THE HILL! Are you wondering why Christianity is in darkness and gross darkness is covering the people? WE ARE IN THE TRANSITION PERIOD OF THE VERY LAST DAYS AND WE ARE COMING TO THE VERY LAST OF THE LAST DAYS! When I called out in the message I gave on Wednesday, with all my heart I believed that this was the last call, I meant it with every part of my being. If you miss that…. Brethren, there are some people who are not going to hear unless we are faithful to what we have been hearing today. Are we expendable? That word that brother Burt brought this morning was exactly right down the line. I will prepare to expend to the very end and become the last part of that flickering wick. I do not think we have much time to waste. God showed us that in 1967-68 there would be a 40-year period and that the Day of the Lord would be the last 3 ½ years of that. There would be the last 3 ½ year period. I do not think we are very far from that tribulation, the great day of Jacob’s trouble. Those were the words of Chaim. I hope I have confirmed something in the spirit to you, my dear brother. I want to say that everything you said last night, we have seen it from a different perspective, but the timing is almost identical. If you add 40 years unto 1967 or 1968, if you go by the Jewish calendar or by the Gregorian calendar, you are not far out. We are in the last days of the last days. I want to confirm that word. I had no intention of speaking it publicly, until I was asked to do so. I believe, however, that it is a confirmation. I believe that if you take that home in your heart, you will to be the same again. YOU WILL NOT SIT IN COMPLACENCY! YOU WILL NOT SIT AND SAY “IT IS TIME TO DO WHAT WE WANT TO DO.” THERE IS NO TIME TO DO WHAT WE WANT TO DO! IF WE ARE IN THE VERY LAST DAYS OF THE LAST DAYS THEN WE MUST BE EXPENDABLE TO THE NTH DEGREE AND THERE MUST BE NO HOLDING BACK IN THESE DAYS! If I were to write an epitaph for this convention, I could easily write it and it would be one word – and it is called “REPENT!” That word has been written over this convention from the beginning through to the end. Every word that has come has somewhere along the line brought that forth. Our sister has brought it here and confirmed it this morning. That is the word that God has spoken and if you do not hear it and you do not walk in it and you do not obey it, then you are going to be in a place of JEOPARDY in the days to come, because your feet will not be established on the Rock! Let us do! Let us not just be hearers, or we will be foolish people, Let us be wise people! Let us repent and let us walk in our repentance and let us throw everything to the side that would hinder it! Even the lies and the deceptions of Satan himself, who has sought to sidetrack us from the one thing that he does not want us to hone in on – that we know his time is short! And by the way, so is ours. That, to the best of my ability, covers most of what was said. There is more, but I think I have said enough. Question: Could you tell us the vision you had last night? Brother Cecil: It is not possible that we can end right here! It is not possible. Hallelujah! Let me tell you, when brother Mercer was speaking it, the thing got clearer and clearer to me of where we really are. Today in Jerusalem, right as we sit here, there is much turmoil. The government is facing extinction. The government of Ehud Barak may fall because the rabbis and many others have withdrawn their support from him because he is giving away too much of the land; and he is giving away part of Jerusalem. He said that it is for peace, but it is for war. Arafat is called “The Little Horn”. Did you all know that? He wears a little horn and he is called “The Little Horn” and of course some of the people feel that the Bible refers to him as the “little horn” and he is the little horn that is going to make trouble. (Dan 7:8, 8:9;) I do not really believe that, but I am just telling you that they have tried many times to kill him and it has been almost impossible to kill him. It is like with George Washington, they sent a special brigade of men out to kill him and they got him in their sights. They fired point blank at him and all that happened is that his coat was riddled with bullets and the man was not touched and they knew that God had a purpose for him to form this nation. So it is, many times Sharon went out especially to kill Arafat. They attacked his place, they did everything, but they could not kill him. They sent an airplane with a bomb. They knew that he was out there in the desert in a little house and they sent a plane out to bomb that place and to kill hin and he walked out one minute before they devastated the place and the only person who was alive was Arafat. Another time, he crashed in an airplane out in the desert and the American satellite picked it up and called them to go and pick him up. The others died, but he was the only one alive and he has never been scratched. I think he is being preserved for a special time and a special thing. He has declared last week that within two weeks he is going to declare a state of Palestine. You know the word “Palestine” is really the “Philistines”. So again they are faced with the Philistines. Just as it was with David and the Philistines and Goliath, so it is that Arafat is in the place of Goliath and again he is challenging. However, God has a destiny for Israel and they cannot destroy it. Turn with me to Ephesians 2 and let us read verses 13-15. As brother Mercer was talking, these are the words that came to me so clearly. In other words, it is God’s will that this remnant… You know, when you talk about Israel and the Jews, we are not talking about all the Jews, for Paul described it. He said it is not everyone that is of Abraham and is a Jew that is Israel. But there is an Israel out there and I am telling you, they who have had the Scriptures and who believe the Word of God from the very beginning, they are beginning to see the light. Yes, they are beginning to see the light and God is saying to us that we should not be blinded to believe that they are out there and they are just lost and they are this and that. We need to understand and I am telling you that we are very close to that time. That war with those Arabs starts in Israel and it is going to be starting Jacob’s trouble right here before us. Right before us, we are seeing it happen. So, look out! Look out! You see, God set the clock at the Passover with Jesus Christ and He set the clock again when the Jews took over Jerusalem. Oh yes! Right along, we are seeing the time. We should not be deceived. The time is upon us and God is not going to tell us the day or the hour, but we are going to see the time. And when you see Jacob’s trouble start (and I believe Jacob’s trouble will be that 3 ½ years), I believe that God is also going to activate the sons of God and I know it will not be simultaneous, because it must come to a point where they threaten the very existence, not only of Israel, but of every Christian and of every human being. When it comes to that point, God will throw the switch and the sons of God will have the power to speak the word and stop them dead in their tracks. We have seen things happen like that. God gave us many signs, you know. In the desert out there with the Six-Day War, I had a friend out there and this man tells me things that happened in Israel that were just out of this world. He was in a store in Jerusalem and two soldiers rushed in and were so excited they were beside themselves. They began to tell a story. They said that they were out in the desert. They were cut off from their platoon and they did not know where they were. They were lost and here comes a long line of Egyptian tanks toward them and they knew that their time was up. So they got up to surrender and by the time they got up and walked to the tank, everybody in this long line of tanks put their hands up and surrendered to them. They could not understand it, but they quickly called up their place on their radio and immediately planes came over and helicopters and so and so. They saw the army of God! Amen! They saw the host of God. I wish that brother Gruver was here to give us some of his revelation, but then, we had a revelation here from Scotland. Praise be to God! Question: Cecil, I was not here last night, but I was at the Sterling Illinois meetings when you started talking about this and speaking of confirmations. 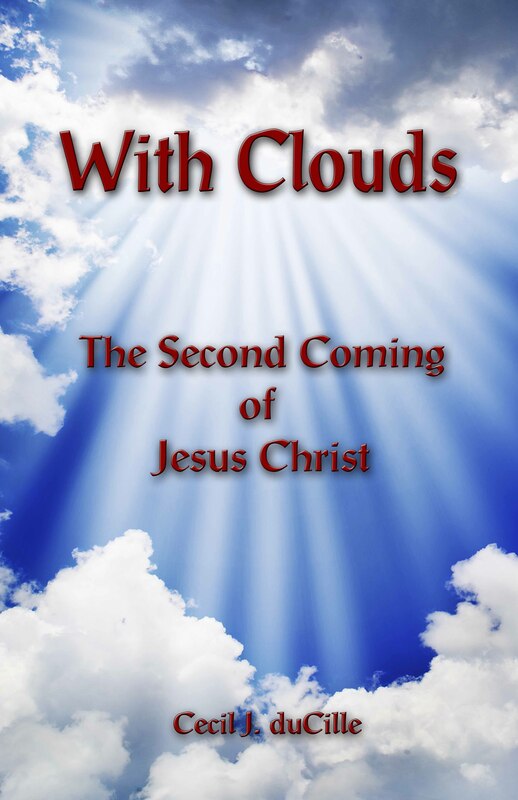 Didn’t you mention then that two other individuals, Kathryn Kuhlman and William Branham, also were given revelations that the tribulation began in 1970? Brother Cecil: Yes, they did, but they did not understand what they received and the church quickly shut them up and they were afraid to say anything more. Question: As I was going home last night after the word that was brought forth, there was on my heart a lot concerning this date 2008 and how it was explained that after 38 years they crossed the Jordan and entered into the promised land. I have always seen the Jordan River as a symbol of death and if you read Revelation 11 concerning the two witnesses, it says that they die at the end of their testimony. So that just brought confirmation to me of how they are to minister and then they die. Brother Cecil: It is a death that brings forth life. We are not talking about dying and going away. We are talking about some people will give their lives and resurrect right before the people as a demonstration of the power of God – life over death! That is the crossing of the Jordan and it is like the crossing into the Holy of Holies. Question: What is Jacob’s trouble? I keep hearing about it, but I have no idea what you are talking about. Is it specifically mentioned in the Bible? Brother Cecil: Yes, it is in the Scriptures. In Jeremiah 30:7 it speaks there of Jacob’s trouble. It is only a severe tribulation that will bring the Jewish nation from where it is not to where God wants them to be. Like in the 1967 war, I heard that they called upon the name of God, because Israel was in grave danger and that in the desert, Christ appeared to some of the armies and gave them the victory. Is there any question that we want to ask? Are we satisfied? Are we ready to go home? Yes. Amen.